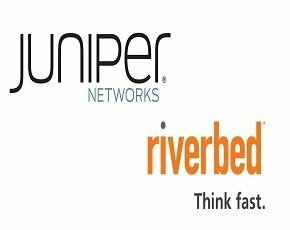 Juniper Networks and Riverbed Technologies are partnering to utilise their network and application capabilities. The two firms announced the tie-up claiming the application and the network were converging. They said there was a need for next-generation systems capable of giving the performance, scale and security that both layers require. “This multi-faceted partnership will allow us to expand our addressable markets by providing customers with integrated solutions that increase the efficiency of their IT infrastructure,” said Eric Wolford, executive vice-president and general manager of the products group at Riverbed. The first part of the deal will see Juniper pay $75m to licence Riverbed's application delivery controller (ADC), enabling it to build it into its existing network products and create new solutions using the technology. Next, the two companies will work together on integrating Riverbed's Steelhead technology into the Juniper Networks' Junos Pulse client software. Riverbed's Steelhead software gives employees access to corporate files and apps through mobile devices. Juniper Networks, Junos Pulse client software manages networks through mobile devices to deliver a single system on mobiles or tablets. Finally the firms will develop wide area network (WAN) optimisation and application acceleration products in the hope its two teams will create superior solutions to the individual ones on the market. "We are excited to partner with Riverbed to bring innovative, ground-breaking technologies to our enterprise customers,” added Bob Muglia, executive vice-president of software solutions at Juniper. “Riverbed's application acceleration and WAN optimisation solutions will complement our strategic focus on delivering high-performance networking infrastructure and further enhance our position in both datacentre and consumer and business device domains. Our joint efforts with Riverbed will enable us to push the future of application networking." The partnership was announced on the same day as Juniper’s second quarter results for 2012, which showed the company needed new ways of making money. Revenue was down 4% year-on-year to $1.04bn and net income per share dropped dramatically by 39% to $0.19. Juniper claimed customers were keen on its products, but the current economic climate meant they were cautious about investment priorities and the timing of their project deployments. Even with this new partnership in the works, the company expects revenues to remain steady over the next three months, predicting results of between $1.04bn $1.07bn for the third quarter.